Retired American professional basketball player Dennis Rodman speaks to the press as he arrives at Changi International airport ahead of US-North Korea summit in Singapore on June 11, 2018. 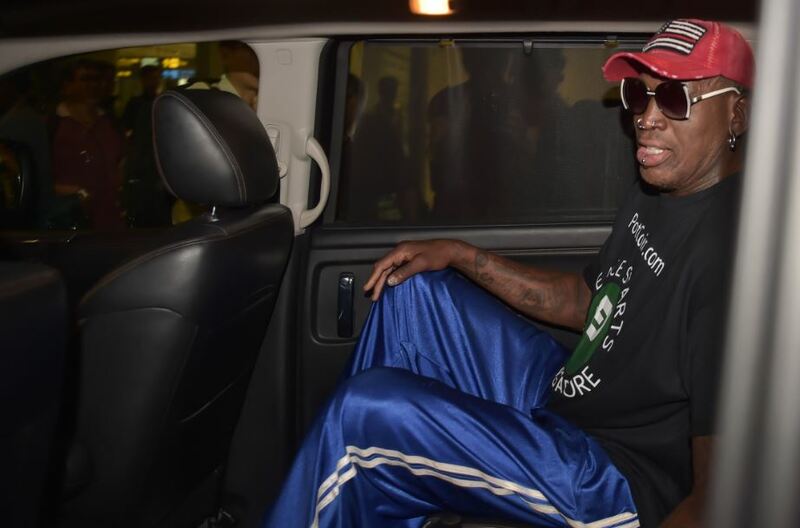 SINGAPORE - Former US basketball star Dennis Rodman flew into Singapore late Monday ahead of at summit betwen President Donald Trump and North Korea's Kim Jong Un, playing down expectations of an immediate breakthrough at the historic meeting. Rodman, who has struck up an unlikely friendship with the basketball loving North Korean leader, arrived in the city-state some nine hours before Trump meets with Kim in a bid to negotiate an end to a decades-old nuclear stand-off. He said he expected the Trump-Kim summit to "go fairly well" but added "people should not expect too much for the first time".